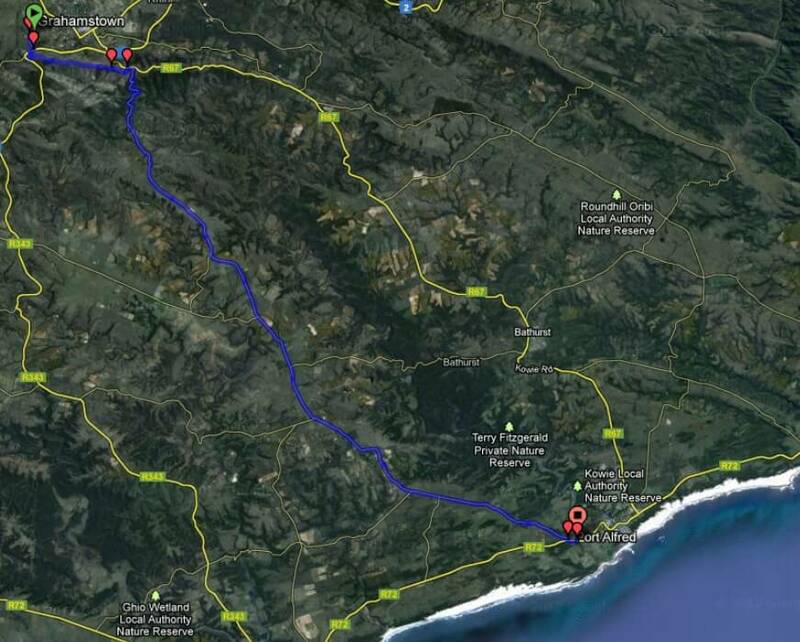 The first few kilometers include a climb up Mountain Drive from Grahamstown industrial area. There is a rocky single track down from the Toposcope which can be a bit hair raising for some. The decent down the valley on the Southwell road is steep but it is tarred. It is important to keep left and keep a slow pace in the blind corners. The rest of the route is on country road. It is mostly a lazy downhill but does include a couple of uphills. A short single track section takes the bikes off the country road and into the back of Rosehill Mall, Port Alfred. A total of 58 km. The start is at Buco Warehouse off Rautenbach Road, Grahamstown. The race will finish at the Rosehill Mall in Port Alfred off the R72.